I'm a vegan who is poor and work volunteer in temple shrine , cooking for old folks and workers time to time notice myself I actually have a soul of a cat (-w- ) meow Looking for a loyal person who have a big heart like myself to share life with , at least same family value and the understanding of what marriage means . Does cundikitty belong in this group? Does shiraiden belong in this group? Does jamesriot85 belong in this group? 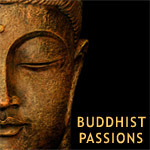 Buddhist interests I love Eastern spiritualities and religions and interested to learn more about Buddism and ancient religions around the world. Does peeples belong in this group?